In order to get maximum benefit from the ICO we recommend that you join the Institute as a member. 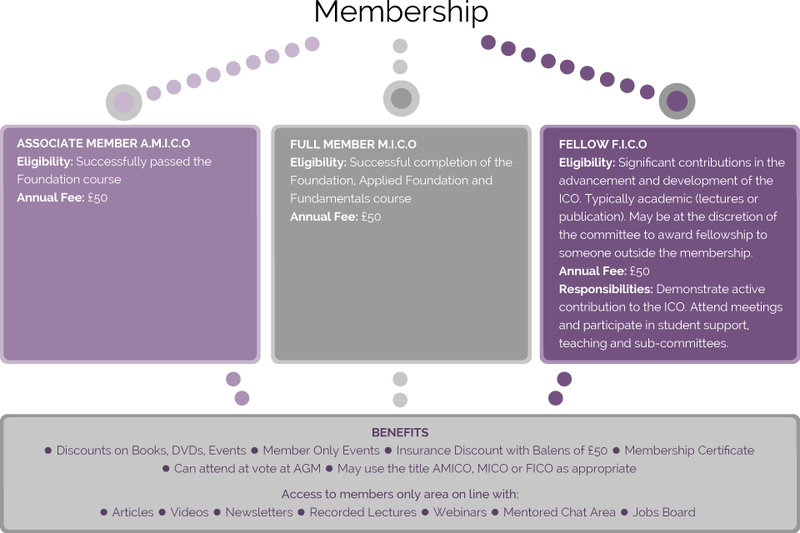 The table below explains our membership categories which are linked to the ICO pathway and provides details on membership benefits including discounts and access to a Members Only Area. Please contact us should you have any queries regarding our membership structure.